Yeah, a week late, but better late than never! It was a glorious Sunday for a Three Speed Ride. It was in the middle of a streak of nice weather, and the day’s temperature was 65F/18C. It would get downright HOT in a few days, so this was a nice balance. We had nine people overall show up to Rivelo for the ride, two out of them visitors from Minneapolis on rented Bromptons. We headed south first towards Westmoreland Park, mostly on regular ol’ streets, but a couple blocks of dirt thrown in, because this is a Shawn Granton ride after all! 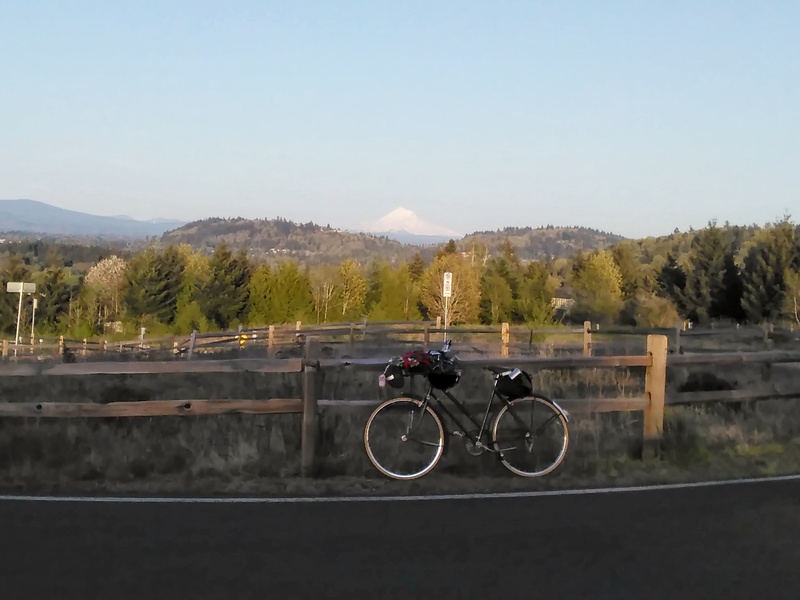 After Westmoreland, we ascended through the tony neighborhood of Eastmoreland and hit up one of my favorite unimproved roads in down, SE 37th Ave from Bybee to Crystal Springs. Much of it is that “barely there” path that I love. Then through Errol Heights via SE Tenino Drive, almost a dry creek bed than a road! I mellowed things out for a bit, hitting up the Springwater Corridor for a while. We did a quick stop at Cartopia (way too many cars!) and then rode further east, hitting up Lents Floodplain and the closed bridge across Johnson Creek next to Leach Botanical Garden. 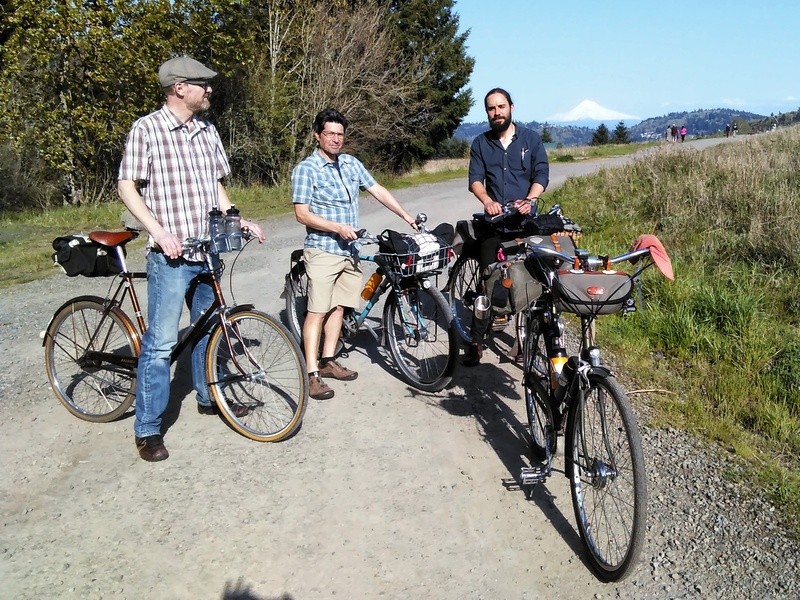 And finally, saving the best for last: an ascent via Holgate Lane to Powell Butte. Holgate is a trail of about 6% grade, doable on three speeds. We paused at the plateau of the butte, got water, then continued upwards through the fields to the very top of the butte. At the Mountain Finder the few of us who remained made a little picnic. I fired up the Trangia kettle so we can have tea outside. Since it was Adventure April, this ride, this ride hit up four of the five challenges! Three Speed Camping, June 2-3, registration now LIVE! Weekend Report: A little bit o’ everything, both good and bad.